Helping your loved ones look and feel good. Personal Care Assistant (PCA) services are designed to help people with their normal day-to-day activities. Rather than simply stay in your home or in the community, Sincere Home Care can tailor services to meet your home care needs. With help from our screened and certified caregivers, our clients live and flourish independently in the comfort of their own home and community. Don’t have a caregiver in mind? We can do the work to find you the perfect match. With Traditional PCA services (PCPO provider), Sincere Home Care will work diligently to find the care you deserve. With this model, Sincere Home Care is responsible for all administrative tasks surrounding PCA services. 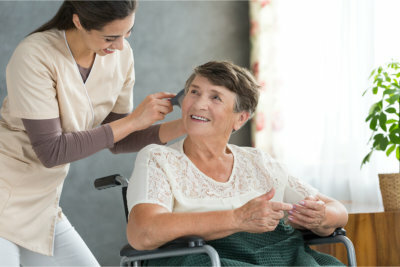 Do you want to transfer PCA services to Sincere Home Care? We will complete all the paperwork with you in the convenience of your home for an easy transfer of services to Sincere Home Care. If needed, our UMPI numbers are A151667200 for PCA services and A157162300 for 245D services. Rather PCA Choice or Traditional PCA services, we can meet your needs. All caregivers must meet the eligibility criteria including the successful passing of a mandatory criminal background check. For more information, you may call us at 763-354-1108 or submit the referral form online.